Hotel accommodations and a perfect blend of seaside activities are located near Assateague's long stretch of beach. Travel to the Virginia or Maryland side of Assateague Island for a diverse environment. Assateague Island is managed by three official park agencies. Assateague Island National Seashore is cared for and managed by the National Park Service, U.S. Fish & Wildlife Service and Department of Natural Resources. Visitors to the park in Virginia enjoy the beach plus find opportunities for countless breathtaking experiences and adventures at the Chincoteague National Wildlife Refuge (established in 1943). 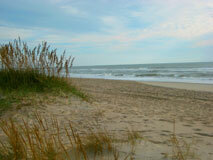 The beach, wildlife, dunes, wetlands & marsh islands are protected for public outdoor recreation use and enjoyment. In 1962, Assateague Island National Seashore was established for the purpose of protecting Assateague Island in the states of Virginia and Maryland. The National Park Service and Fish & Wildlife Service help protect Assateague Island's splendor. Assateague Island National Seashore is administered to provide for recreational use and enjoyment consistent with the perpetuation and maintenance of the seashore's natural environment. Assateague is vital for resting and feeding migratory shorebirds and other abundant bird species. 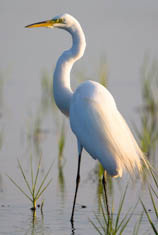 Over 320 species of birds can be found here. Assateague Island is a priceless seashore ecosystem and a sustainable resource that all visitors can appreciate. Assateague Island is a great vacation destination within easy reach for many East Coast residents. Sightseeing cruises, kayak tours, crabbing, bird watching, fishing, hunting, biking and other activities continually make this a paradise for visitors that enjoy outdoor recreation. Assateague Island has over 37 miles of beautiful beach. This is considered one of best beaches on the entire East Coast. Search for seashells as you walk the pristine white sands. You can enjoy swimming in the picturesque waves along the Atlantic coastline here or just relax on Assateague's vast unspoiled beaches. The Assateague Lighthouse is on the way to the beach and it is one of the most famous in the nation. You will find nearby amenities at Chincoteague Island and Ocean City such as seafood restaurants and lodging in the form of hotels, cottages, beach houses, campgrounds and bed & breakfasts. Visitor attractions and a relaxing atmosphere make Assateague Island a great destination. 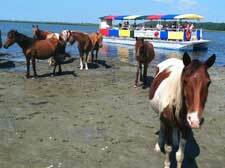 Be prepared to have fun, and you may want to visit Assateague again on your next vacation. Can visitors trust popular travel review sites? Sources say many businesses writing their own reviews over the years have amassed hundreds of their own. Online review sites are flourishing, but studies prove many reviews are bogus, flat out fakes. Good or bad, the inability to distinguish real reviews can confuse visitors. Nature, conservation & relaxation go together. Studies show that workers who take regular time to relax, enjoy family time and social time while reconnecting with nature are said to enjoy healthy benefits. Our country's national parks are waiting for you. Get out in the field with the fresh air, take some personal time and enjoy a vacation. National parks equal a healthy lifestyle. The scenery and resources are protected at Assateague Island. AssateagueIsland.com is the leading travel guide for your vacation to Assateague Island, Chincoteague Island, Virginia & Ocean City, Maryland. The website is not affiliated with the U.S. Department of the Interior and the contents of this website is copyrighted. Unauthorized copy of information or photos is prohibited by law.